Saint Rose cover photo contest! Photo by Kayla Germain, with the lovely assistance of instagram filters. EXTENDED ENTRY DEADLINE! Accepting photos until midnight Sunday, October 21. One of the best parts of my job is getting to take photos of whatever is happening on campus and sharing them with all of you. Now we’re changing things up asking for photos from you! AND you could win a $50 Visa gift card…keep reading!! We’re looking for entries into our first ever cover photo contest for Facebook, Twitter, and instagram (@collegeofstrose). Entries will be put into a Facebook album and the four photos with the most votes (AKA ‘likes’) will be selected as winners. The winning photos will be used as social media cover photos for the four weeks of November. Entries must be submitted (in JPEG format) to social@strose.edu by Friday, October 19, 2012 Sunday, October 21, 2012. Voting will be open the week of October 22-26. Up to two photos may be entered per person. 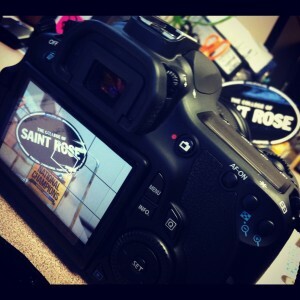 Photos must relate to Saint Rose in some way and can be explained with an accompanying caption. Photo submissions must come directly from the person that took the photo. Photographers are responsible for obtaining permission of anyone featured in the photos. Winning photographers must sign a release so that Saint Rose can use the photos as cover photos. Cover photos must be horizontal in order to work well with Facebook and Twitter. Minors cannot be in photos without written consent from a guardian. This contest isn’t limited to students- alumni, faculty, staff, and community members are all encouraged to submit! Good luck! I can’t wait to see the photos you have to share!